Ben Bryant rine Risk Consultant, Allianz Global neering News’ editor in Brazil. Ben Bryant is Klüber Lubrication’s Corporate & Specialty. Peter Pospiech s Maritime Reporter at MARIN. Dennis is with Maritime Regulatory Dufour, Laskay & Strouse, Inc. many. Morgan to Maritime Reporter. Stoichevski editor of MarineLink.com. Buchmann LLP’s Process & Technology practice. 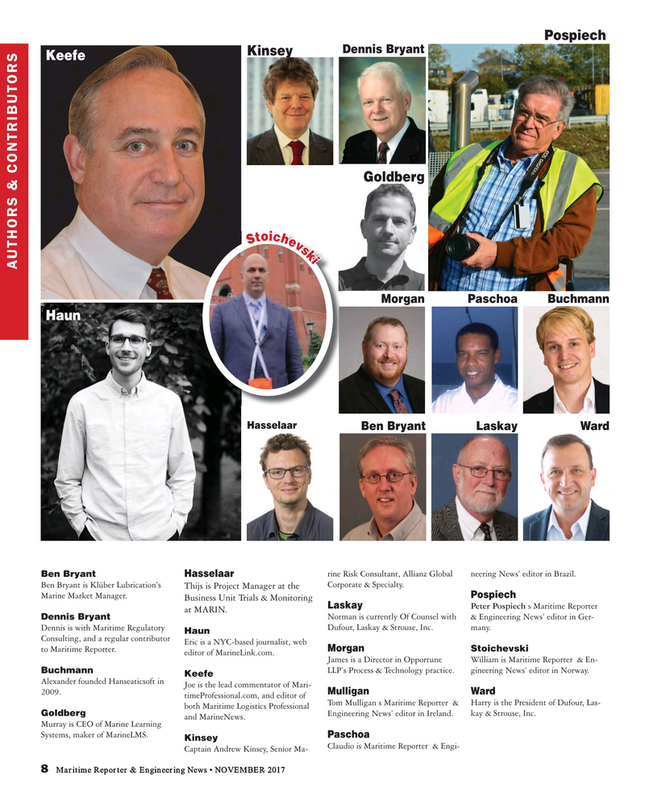 gineering News’ editor in Norway. Goldberg Engineering News’ editor in Ireland. kay & Strouse, Inc. and MarineNews.